Storehouse Sydney Rushcutters Bay is a tranquil indoor and outdoor restaurant, serving wholesome meals made with local produce and delicious drinks. This is your social space to eat, relax, meet or just switch off. Drop in for a barista coffee or bring your four legged friend to enjoy lunch on our outdoor terrace. 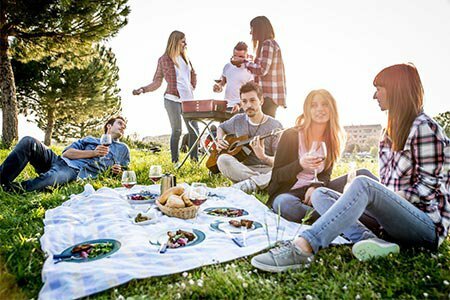 Connect with someone special over a chef prepared picnic, served with blanket and basket of goodies for you to enjoy wherever you choose. Morning menu includes: Museli slice, bacon and egg rolls, chia seed pot, fruit salad, fresh juice and coffee. We love our dog guests as much as we love our human guests. 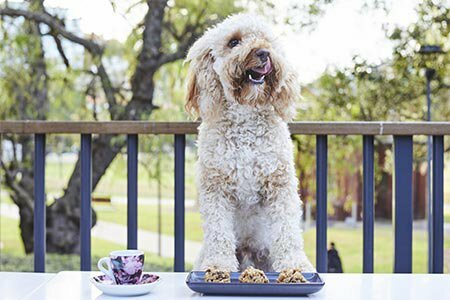 Treat your favourite four legged friend to a 4 course dogustation menu specially designed by a dog nutritionist, for only $10. Menu features pawtein balls, sesame seed pup wafer, watermelon chew and a puppyccino.